Two entirely unrelated political stories that both caused me to contract a serious case of face-palmingness. It's a real disease, look it up. 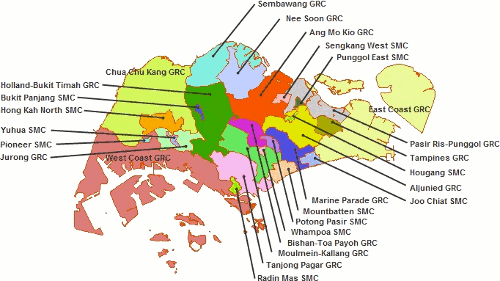 It's election season again for Singaporeans, and once again a slew of electoral boundaries have been changed. Overall, the changes mean that just one in five of the 2.35-million voters will not see any alteration in the shape of their constituencies from 2006 – compared to 42 per cent in that previous GE, when boundary changes were relatively minor, and 9 per cent for the 2001 GE which saw several GRCs enlarged. So there are changes, but don't worry its better than before! Needless to say the reactions are mixed to say the least. The Reform Party has released a statement which asks some very relevant questions. I hope the PAP take it seriously and address the concerns of its country's citizens. CANBERRA: Last year the Association of Southeast Asian Nations celebrated its 43rd anniversary with fanfare, but cracks were visible in the organization. First, Canberra? Huh. 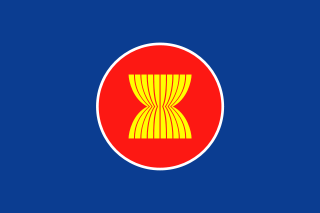 Secondly, saying that ASEAN could drift apart implies that it was together at some point. Ask anyone who lives in the region… clearly it hasn't been, or to such a limited extent that it's had almost no bearing on the lives of people in the bloc. About the only thing I can think of that it's achieved is the free trade agreement with China, and even that has been a mixed blessing, and ironically could be the final thing that breaks ASEAN apart completely. The problem is ASEAN economies are so wildly different and at different levels of development, and leaders have never been very accommodating of each other. Malaysia and Singapore's feud hasn't been resolved since they were forcibly ejected from the Malaysian Federation in 1960s. Singapore and Brunei are super rich, Thailand and Malaysia are middle income, and Cambodia is one of the world's poorest nations. Burma's human rights violations are going completely unchecked. Its been 10 years and East Timor is still only an observer. There has been no meaningful progress on unified currencies, border controls are still just as strict as ever (as people in Johor know all too well!) and cross-country business is still ridiculously complex. Patents and trademarks must still be filed separately in each jurisdiction. Cooperation in any meaningful way still seems like a pipe dream. Can it be fixed? Well I suppose it could be, but then again they've had decades to.